From big holiday roasts to rustic (but comforting) soups, winter time is all about eating. And that means it’s also all about cooking, even if you’re spending the holidays traveling to wonderful winter destinations in your RV. After all, that Passport America membership of yours is still active in November and December, so you’ll still get 50% off your campsite accommodation fees! 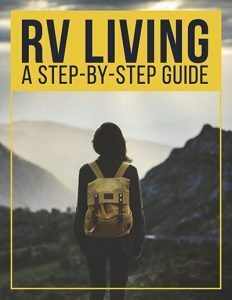 Of course, cooking in your RV kitchen unit — or kitchenette, if you’ve got a small camper — isn’t quite the same as whipping up a feast in your full-sized kitchen at home. You’ve got limited space to deal with, which can make even the simplest recipes a little bit tricker. 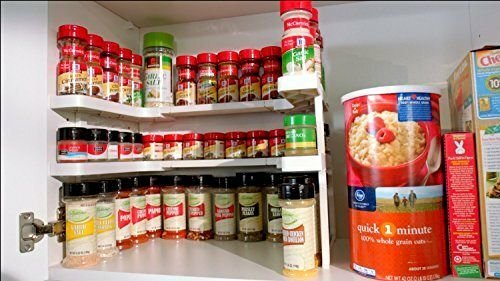 But by being intentional in your RV’s kitchen storage design and investing in a few RV kitchen accessories like spice jar organizers or cabinet cookware racks, you can maximize your kitchen space to make cooking a breeze again. Here are some of our favorite RV kitchen storage hacks and solutions. When it comes to an RV kitchen, your biggest limiting factor is likely to be your cabinet space. Camper kitchen cabinets are small, and most rigs don’t have many of them to begin with. If you’re anything like me, you have a whole pantry at home filled to the brim with all sorts of fancy cookware you honestly probably don’t use all that often. So the first step for maximizing your RV’s kitchen space: only buy and bring the items you truly need. For most home chefs, this means a basic set of pots and pans, a few good knives, and some mixing bowls. Unless you’re doing baking or creating very precise recipes, you can probably dispense with things like measuring spoons and cups — just use your best estimate. That’ll make the recipe more personal, anyway! A great hack for RVers is to choose sets of utensils and dishes that stack neatly, so they take up less of a footprint in storage. 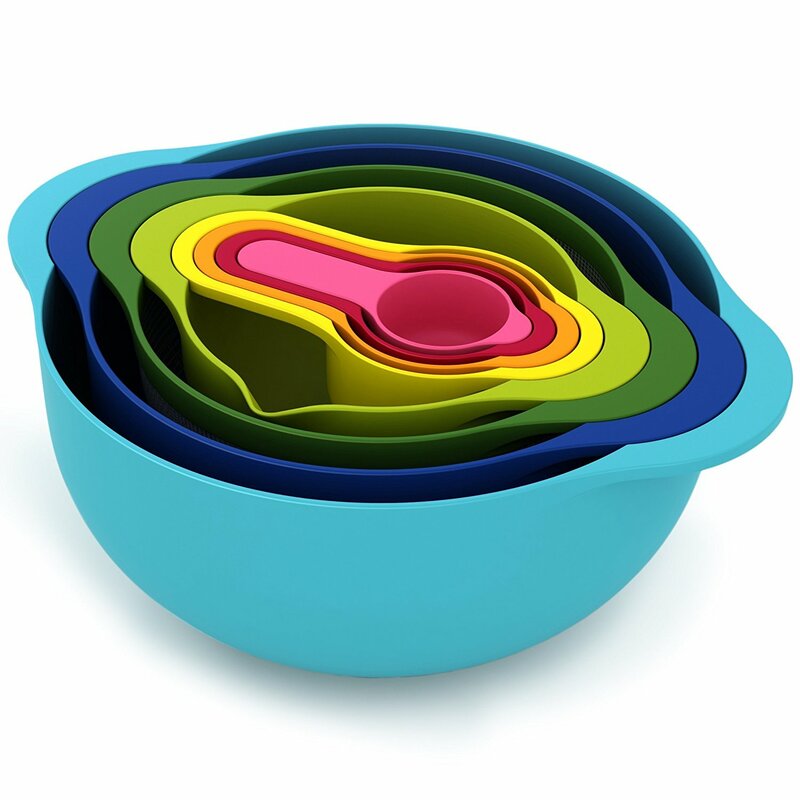 For instance, this colorful 8-piece set includes mixing bowls, a colander, and a few measuring spoons, and they nest neatly to take up as little storage space as possible. You can also find collapsable gadgets and gizmos to increase your available storage space even more. Check out this foldable colander and funnel set, which will help you make your favorite pasta dinners on the road. 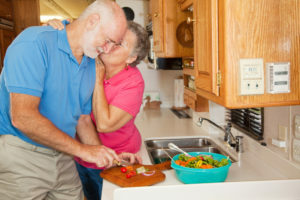 Of course, even if you do your best to purchase only space-saving kitchen tools, and even if you’re at Tetris-master level when it comes to finding a place for them all to live, your RV’s kitchen cabinets only have so much space (spoiler alert: not very much). That means finding some creative storage solutions and accessories can be incredibly helpful. After all, unlike home kitchen cabinets, your RV does move from time to time. 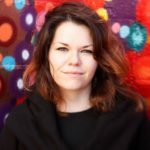 You don’t want to accidentally break any of your cookware… or to have all your hard organizational work to amount to nothing every time you set out for a new destination! Along with pre-made RV kitchen storage accessories, there are some other inventive DIY ideas created by crafty RVers just like you. 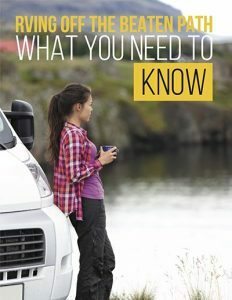 We highlight several of our favorite RV storage solutions in this post, but here are some of the best ones for your kitchen. Storing still-to-be-prepared food (and the items you need to prepare it) is one thing — but what about the stuff you’re through with? Trash bins can actually take up a huge amount of floor space, and they’re unsightly and smelly to boot. 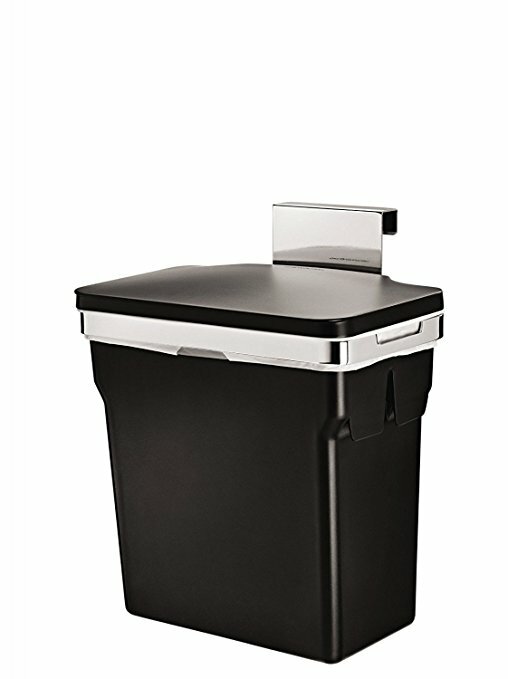 Save space and make your RV kitchen more comfortable at the same time by investing in a door-mounted trash can, which will allow you to move your garbage into the under-sink cabinet instead of out in the open. Just make sure you don’t forget to take it out regularly, since once it’s out of sight, it can easily be put out of mind, too! Another common RV kitchen space problem: you’ve got enough drawers, but they’re unorganized, with all sorts of utensils (… and lighters, and spare change, and… ) tossed into them at random. Keep your trailer’s kitchen drawers spiffy and useful by investing in some simple drawer separators, which will help make it easier to find exactly what you’re looking for every single time. 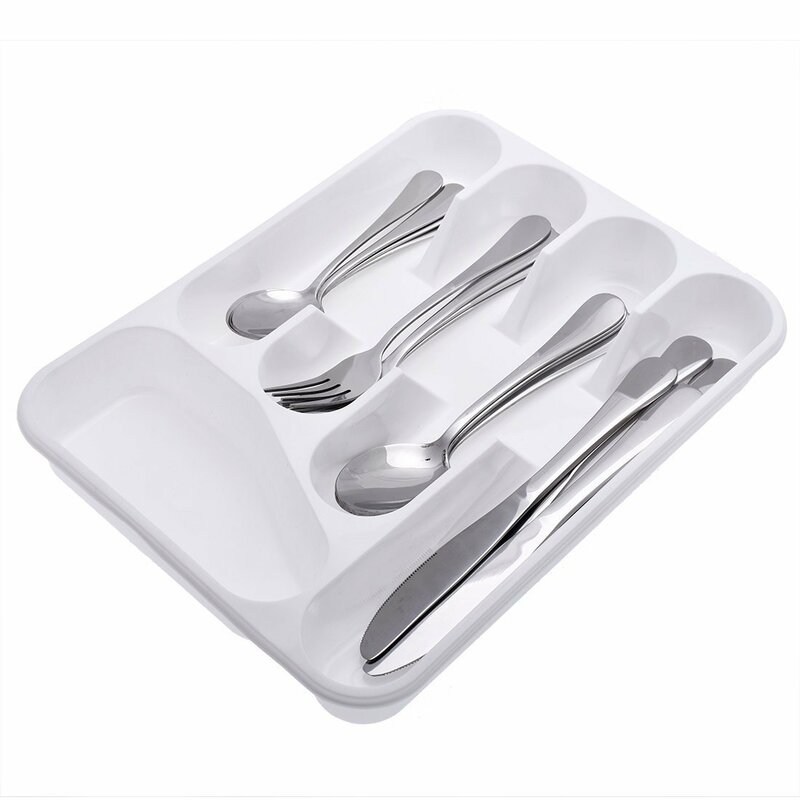 You can get ones made specifically for flatware and cutlery, or use more ambiguous drawer organizer bins for all the odds and ends that don’t quite fit perfectly into the mold. Just make sure you always take the measurements inside your drawers before you order or purchase any of these organizers. There’s nothing as frustrating as getting ready to tidy up your space only to discover the implements you planned to use to help you won’t fit! Making your RV’s kitchen space tidier and better organized will help make cooking in your rig easier, and even fun. After all, being able to whip up your favorite meals on the road is one of the most appealing things about this kind of travel. Looking for some delicious new treats to try in your rig? Check out our posts on some of our favorite tasty meals to whip up on board your RV… even if your rig doesn’t have a refrigerator. We’ve also written about how to entertain a big group in your rig, and the specifics on how to make that big holiday feast you’re famous for. But whether it’s hot dogs or haute cuisine: bon appetit, campers!